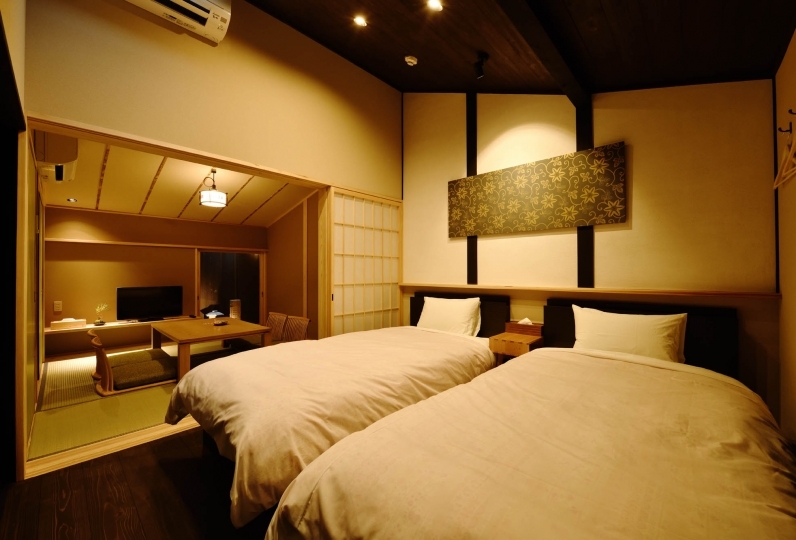 This is an apartment-style hotel located in Kyoto's Higashiyama area. It's name comes from a Japanese word meaning elegant. 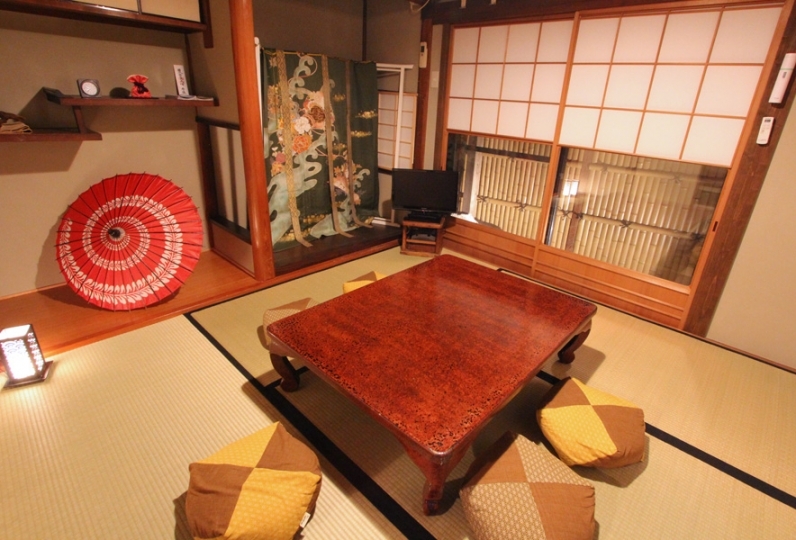 Experience living in Kyoto, at Gion HANNA STAY. 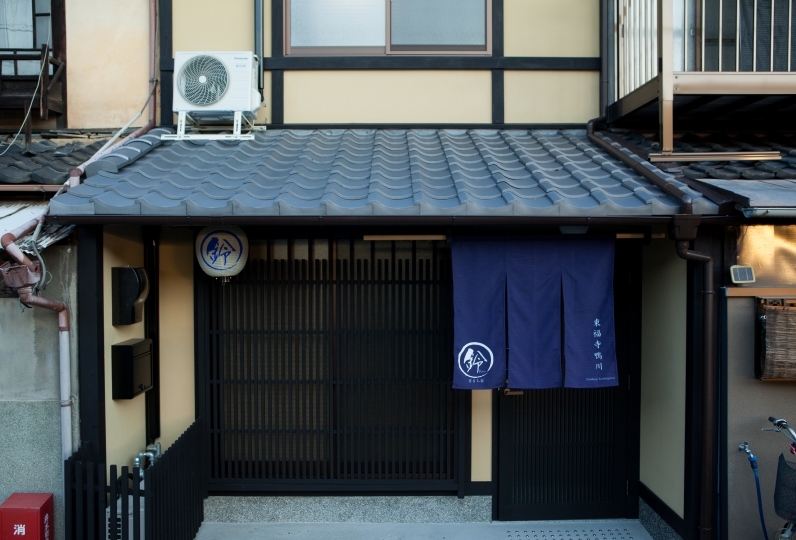 The lobby and each guestroom are adorned with Nishijin textile, giving it a typical Kyoto atmosphere. 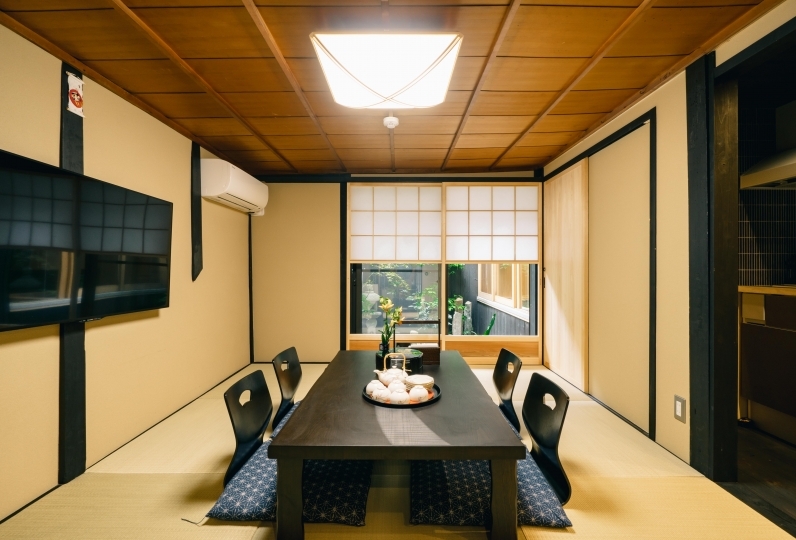 The guestrooms are fitted with a kitchen and equipped with cooking utensils, washing machine, and various household appliances including microwave, toaster, rice cooker, coffee maker, and kettle, making it ideal for longer stays, too. 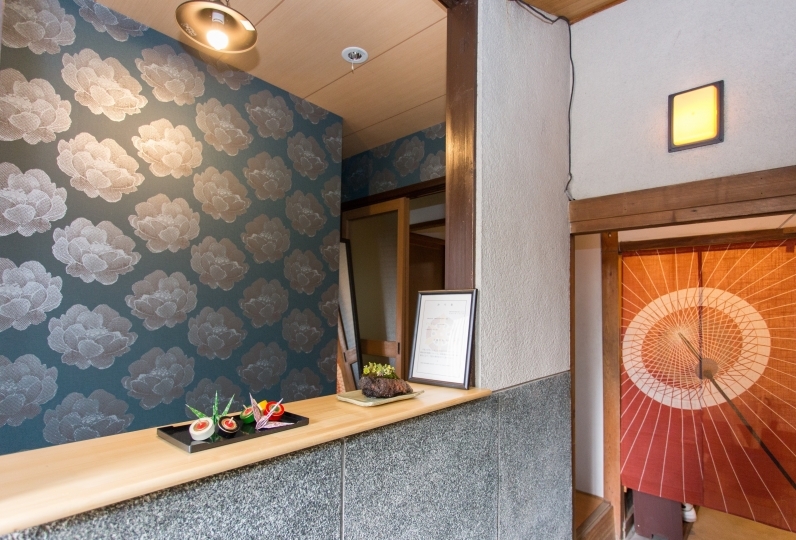 The staff at the front desk will provide information on sightseeing through their handmade maps, suggested sightseeing routes, an original list of recommended restaurants, and more. There are also events held at different seasons, so please feel free to inquire. 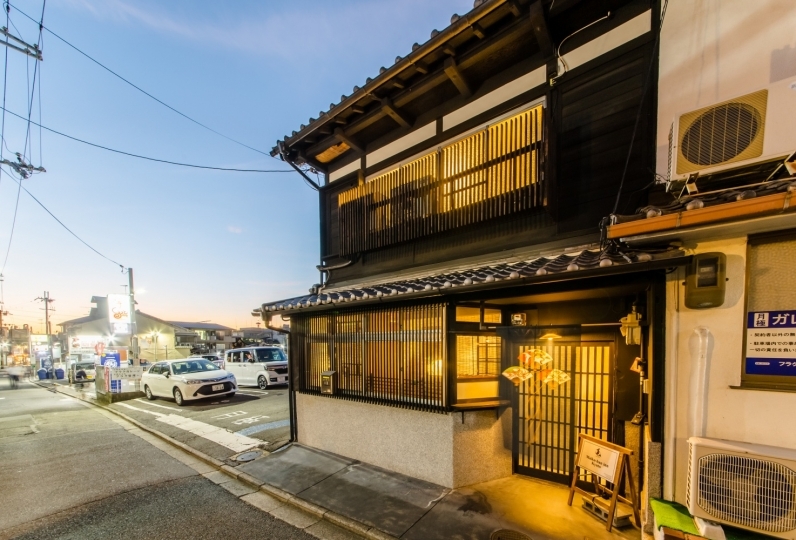 There is great transport access from the hotel, with Keihan Railway Sanjo Station a 5-minute walk away, a 3-minute walk to Kyoto Municipal Subway Sanjo Keihan Station, and just 5 minutes to Kyoto Municipal Subway Higashiyama Station. If traveling by bus, it is a 3-minute walk from Sanjo Keihan-mae Bus Stop. 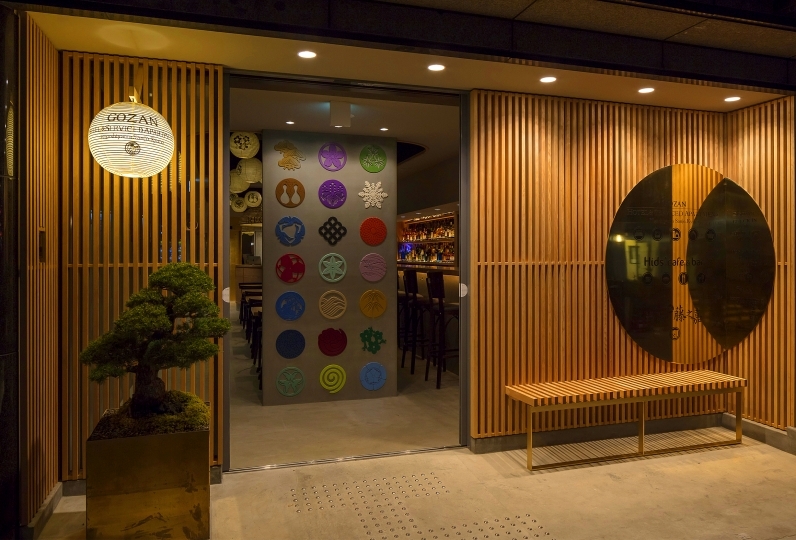 There are many sightseeing destinations within walking distance, including Gion area, Kawaramachi, Nishiki Market, Kiyomizu-dera, Maruyama Park, Yasaka Shrine, Kodai-ji, Chion-in, Gion Corner, Kenninji, Okazaki Park, Heian Shrine, Nanzen-ji, and more. 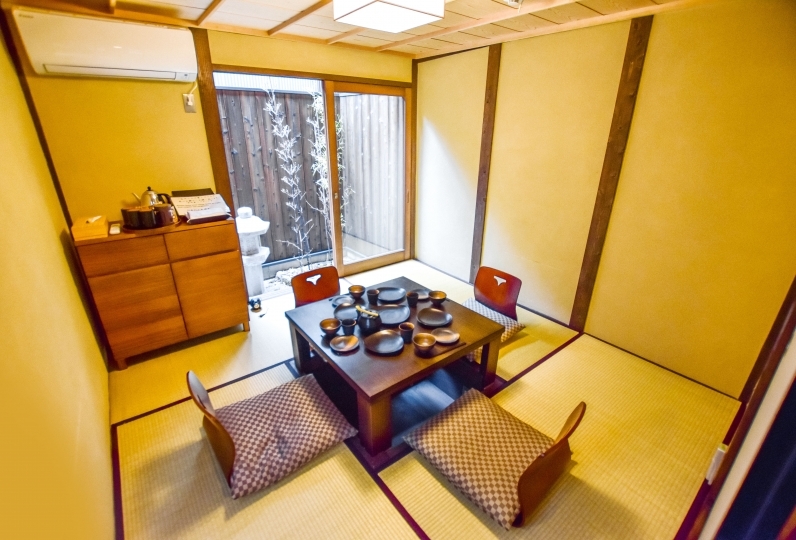 Bicycle and kimono rentals are also available. 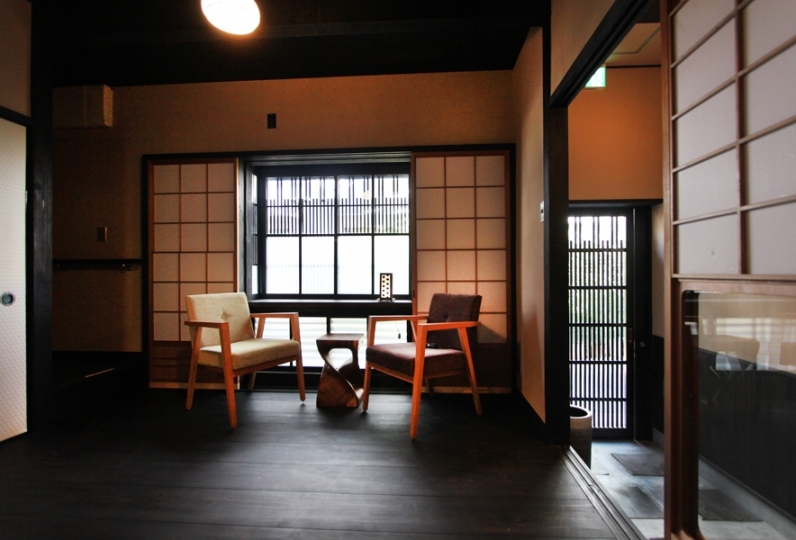 Consider Gion HANNA STAY for your time in Kyoto. 시설이 깨끗하고 없는게 없이 다 갖추어져 있으며 욕실도 넓고 깨끗합니다. 시설과 위치 면에서는 10점입니다. 다만 날씨가 추운 날엔 방이 춥고, 온풍기를 틀면 실내가 너무 건조해집니다. 끄면 또 금방 추워집니다. Facilities are clean, and there is everything without being, and bathroom is wide and is beautiful. Ten points in facilities and location. 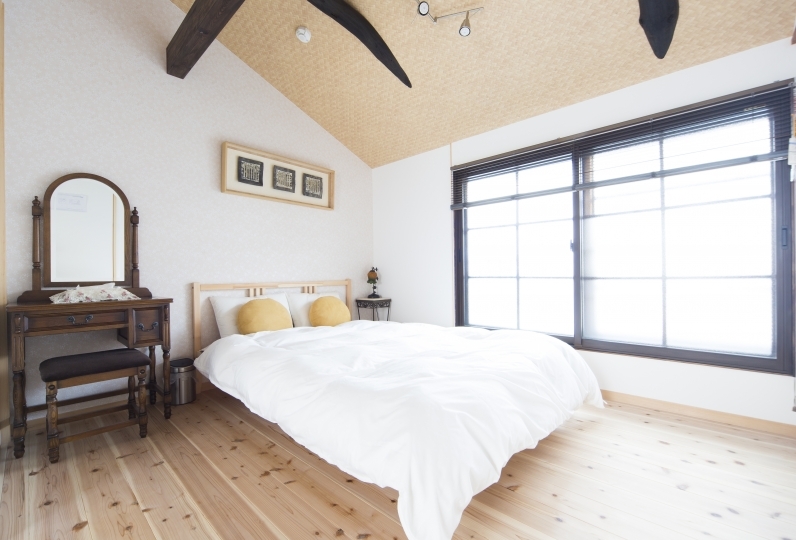 However, when the weather is cold, the room is cold, and when the hot wind is turned, the room becomes too dry. Turn it off and it gets cold soon. Though we arrived in the time before check-in, it was very helpful. The message of the room, etc., I felt the care of the hospitality. I would like to use it again if I have the opportunity, and I would like to recommend it to acquaintances. 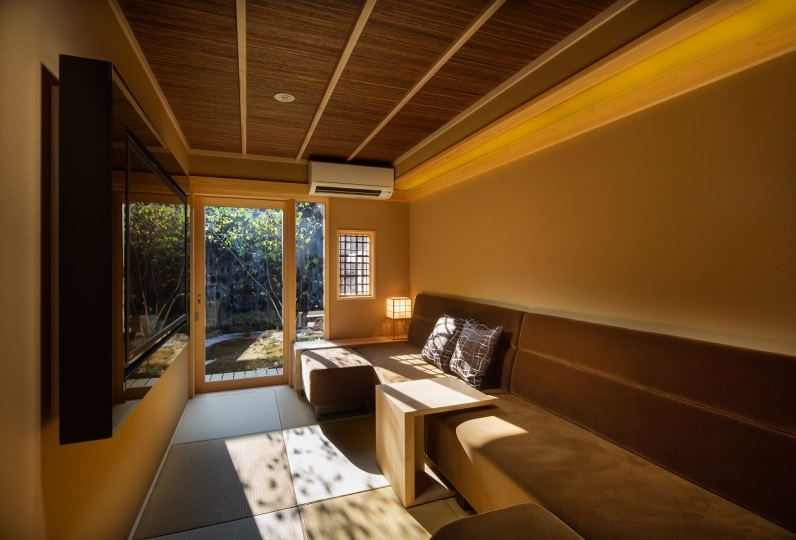 Although I first used it, I could spend comfortably like my home! It was really saved, as it was a cold day, after checking in and checking out, as well as luggage storage, in the lobby. I want to use it again. 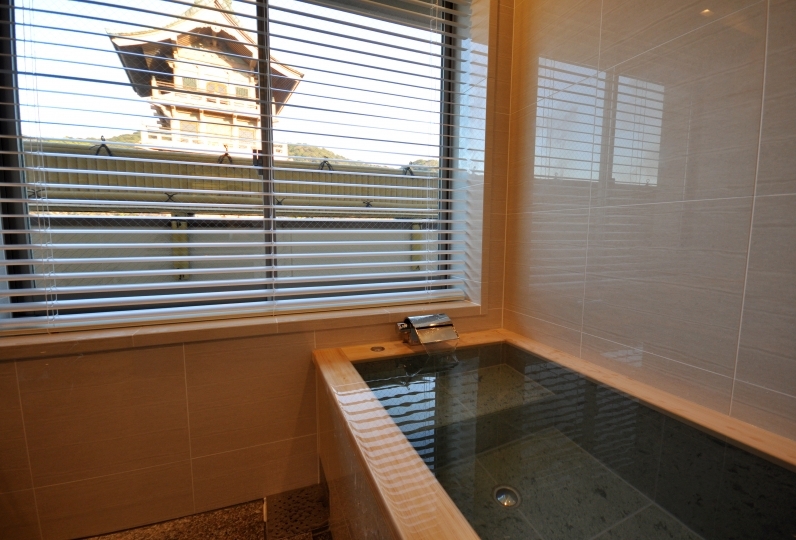 There is a spacious bath in the room, where you can soak comfortably up to your shoulders. The shower space is also roomy, allowing for a relaxing time after your travels. Please note that check-in time is until 21:00. Your reservation may be cancelled if you do not check-in by 21:00.